As consumption seems virtually impossible to escape in the city, we should look at the ways in which urban residents can defy the taken-for-granted logic of consumerism. Does consuming ‘better’ necessarily (only) involve buying ‘ethically’ produced goods? Or could our consumption patters be more constructive and rather than making less of a negative impact, contribute positively to our urban environment? Finally, could the way we consume challenge the dominance of the capitalist processes of production and consumption in urban space? Well, first we have to start calling it for what it is. Recently I watched a documentary about specialty coffee, which followed the production chain from farms in Honduras and Rwanda to artisanal cafés in Tokyo, Portland, Seattle, San Francisco and New York. Despite the film’s claims of fairness and positive contribution to the coffee-growing communities, the overly romanticised image of the production process, complete with farmers in Honduras tasting coffee for the first time in their life, made me a little uneasy. What I found particularly misleading however, was that the CEO of the coffee company and various baristas referred to specialty coffee as if it were the opposite of ‘commodity coffee’, i.e. mass produced coffee we normally buy in the supermarket. Unarguably, artisanal coffee, no matter how ‘responsibly’ and painstakingly produced, is still a commodity. I must digress here: looking for a word to best describe skillfully crafting a product, I looked up ‘craftily’ and found that the other meaning of the word is ‘marked by underhandedness, deviousness or deception’. Touché. The special experience of specialty coffee consumption in specialty coffee shops can be seen as a perfect example of how we, the urban dwellers, see consumption as something that it is not. Slavoj Žižek would probably agree that his metaphor of ‘eating from the trash can of ideology’ quite accurately captures the lack of awareness and reflexivity when it comes to our consumption practices. To quote his words from The Pervert’s Guide to Ideology (2012): “The material force of ideology makes me not see what I am effectively eating.” Indeed, the way consumption is packaged often obscures the processes underlying it. 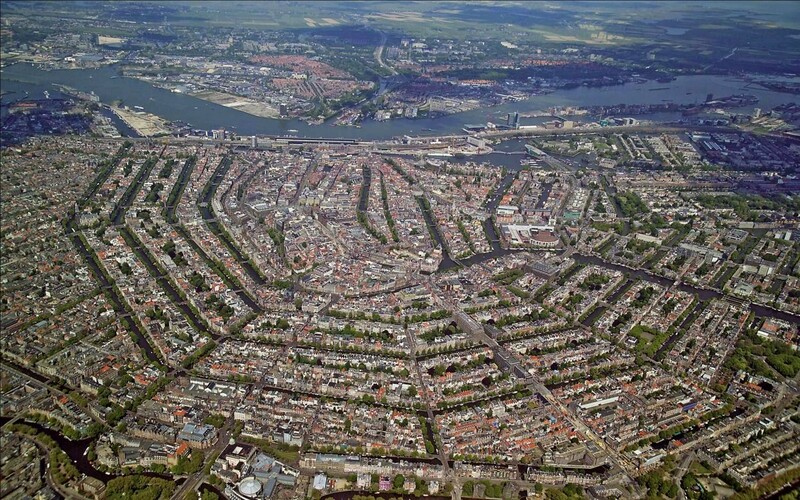 Urban space is shaped by the capitalist logic of production, consumption, profit and growth. The dominant interests shape consumption patterns by defining what is fashionable, who the perfect consumer is, and who will be excluded. 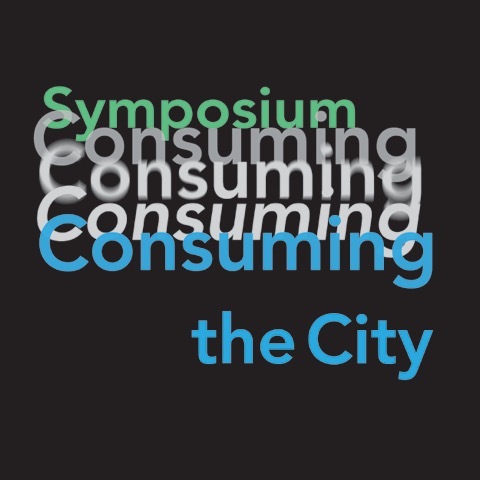 However, as tourism researcher Irena Ateljevic argues, challenging the ‘production/consumption’ dichotomy, the way we consume the city also affects how it is produced, through the interconnecting process of reproduction, in which common sense understandings, or hegemonic discourses, are constructed. The capitalist logic of consumption is therefore easily taken for granted. After all, consumption seems inevitable. We consume everything: food, energy, entertainment, media, even housing. In these cases, consumption is usually understood as a straightforward act of utilisation or material exchange. However, do the processes of consumption in a capitalist city necessarily have a connotation of deterioration, wastefulness and excessive spending? Could there be any positive by-products of consumption or the way in which we consume? And finally, can the hegemonic discourses be undermined by altering the cycle of production and consumption? The consumption of experiences, for example, brings a different kind of consumption to mind. The phrase is often used in the work on new cultural geography, which discusses the blurring of the boundary between the economic and the cultural, often in reference to tourism, cultural industries and mega-events, as well as everyday practices, such as shopping and, of course, drinking coffee. However, as dance music ethnographer Ben Malbon points out with reference to clubbing, we also consume experiences in a way that does not involve paying and obtaining a packaged product in return. He argues that as consumers perform their involvement in the experience, something else is produced, namely memories and identities. 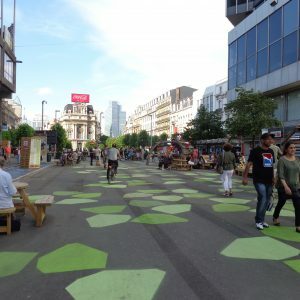 Perhaps then, other ways in which we consume the city can also be productive from an anti-consumerist perspective, that is experiencing urban life in a way that has a positive impact and defies profit-driven urbanism. Take for instance consuming (utilising, not purchasing) goods in a way that makes use of the by-products of consumption and produces something new or – in this case quite literally – eating from the trash can and reducing waste. 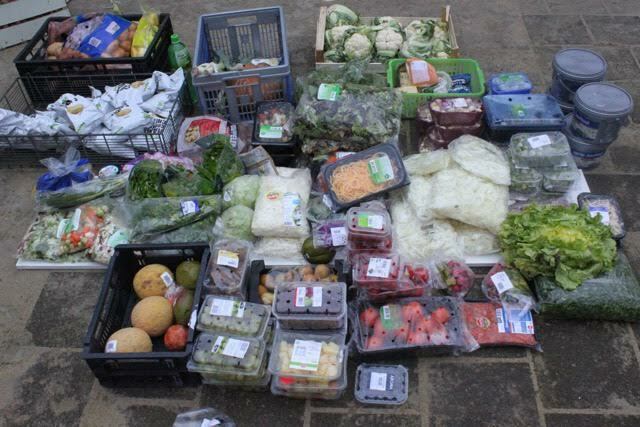 Recycling, upcycling, second-hand exchange, free shops, skipping, freeganism, collection of past sell-by-date food from supermarkets; through practices such as these the dominant discourses are challenged and goods de-commodified, thereby escaping the logic of capitalism. 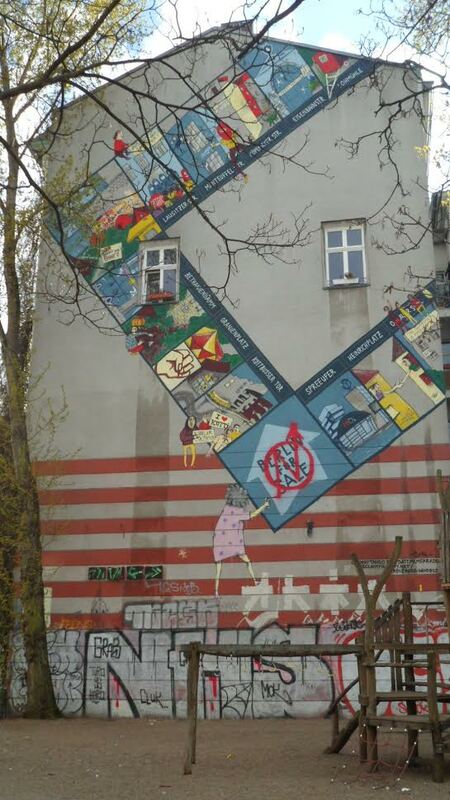 Housing, which holds a special position between a commodity and a public good, or a human right, is sometimes also consumed outside of the usual circle of production and consumption, through occupying unused buildings or engaging in other forms of activism which push the city councils, property developers, and speculators to activate vacant property. Sure, it might be against many ‘logics’, not only that of capitalism, but also that of law and order. Nevertheless, it is a useful practice to think of when considering how the production-consumption cycle can be altered and the hegemonic discourses undermined. And although squatting is now illegal in Amsterdam, it is still not uncommon. The stories of success, such as won legal battles and secured contracts, suggest that there is room for negotiation. Maybe after all, these small cracks in the monolith of the capitalist city can be dug into deeper, disturbing, if only slightly, the way the city is consumed and reproduced. *Title picture: ‘Reclaimed from the garbage.’ Photo courtesy of Guerilla Kitchen Amsterdam. Emilia Wójtowicz is a student in the Research Master Urban Studies at the University of Amsterdam. She is currently writing her master’s thesis on how cities affect young people’s life courses, and getting inspired by studying and observing social urban movements while on exchange in Berlin.